Recently, those substances deriving from the active ingredient of the Khat plant, cathinone, have been rising in popularity. Indeed, 4-methylmethcathinone (mephedrone; ‘meow meow’ and others) has been seen by some as a cheaper alternative to other classified recreational drugs. We aimed here at providing a state-of-the-art review on mephedrone history and prevalence of misuse, chemistry, pharmacology, legal status, product market appearance, clinical/management and related fatalities. Because of the limited evidence, some of the information here presented has been obtained from user reports/drug user-orientated web sites. The most common routes for mephedrone recreational use include insufflation and oral ingestion. It elicits stimulant and empathogenic effects similar to amphetamine, methylamphetamine, cocaine and MDMA. Due to its sympathomimetic actions, mephedrone may be associated with a number of both physical and psychopathological side effects. Recent preliminary analysis of recent UK data carried out in 48 related cases have provided positive results for the presence of mephedrone at postmortem. Within the UK, diffusion of mephedrone may have been associated with an unprecedented combination of a particularly aggressive online marketing policy and a decreasing availability/purity of both ecstasy and cocaine. Mephedrone has been recently classified in both the UK and in a number of other countries as a measure to control its availability. Following this, a few other research psychoactives have recently entered the online market as yet unregulated substances that may substitute for mephedrone. 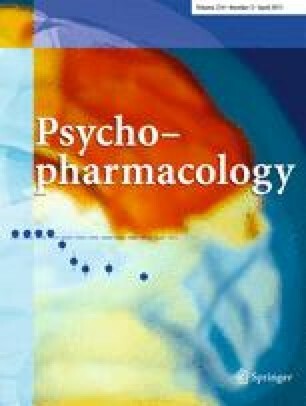 Only international collaborative efforts may be able to tackle the phenomenon of the regular offer of novel psychoactive drugs. The Psychonaut Web Mapping Group Members are: Fabrizio Schifano, Paolo Deluca, Zoe Davey, Ornella Corazza, Lucia Di Furia, Magi’ Farre’, Liv Flesland, Miia Mannonen, Aino Majava, Stefania Pagani, Teuvo Peltoniemi, Manuela Pasinetti, Cinzia Pezzolesi, Norbert Scherbaum, Holger Siemann, Arvid Skutle, Marta Torrens, Peer Van Der Kreeft. The ReDNet Research Group Members are: Fabrizio Schifano; Ornella Corazza, Zoe Davey, Paolo Deluca; Zsolt Demetrovics; Aurora Enea; Giuditta di Melchiorre; Lucia Di Furia; Magi’ Farre’; Liv Flesland; Norbert Scherbaum, Holger Siemann, Arvid Skutle, Marta Torrens, Manuela Pasinetti, Cinzia Pezzolesi; Harry Shapiro; Elias Sferrazza; Peer van der Kreeft, Colin Drummond, Agnieszka Pisarska, Barbara Mervo, Jacek Moskalewicz, Luciano Floridi, Lill Susann Ynnesdal Haugen. The online version of this article (doi: 10.1007/s00213-010-2070-x) contains supplementary material, which is available to authorized users. The present study was carried out with the support of the European Commission (EC); e.g. for both the Psychonaut Web Mapping System (A/800102; 2006 348) and the ReDNet (EC Executive Agency for Health and Consumers in the framework of the Public Health Programme; 2009 12 26) projects. The views expressed here reflect only the authors’ views and not necessarily those of the relevant EC officers. No conflicts of interest are declared here which may have influenced the interpretation of present data.